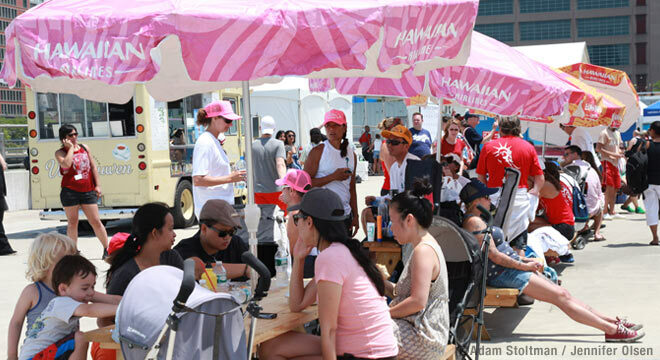 Taste New York City’s international food culture at the Hawaiian Airlines Food Truck Hui at the 2015 Hawaiian Airlines Liberty Challenge. New York Outrigger has assembled a variety of food trucks that feature the international cuisine and culture that is New York City. Our goal is to make sure that all of our guests from around the world and around the corner, can feel the warmth and comfort they would find at home. Relax at a table with your family and friends and share the aloha with the person next to you.